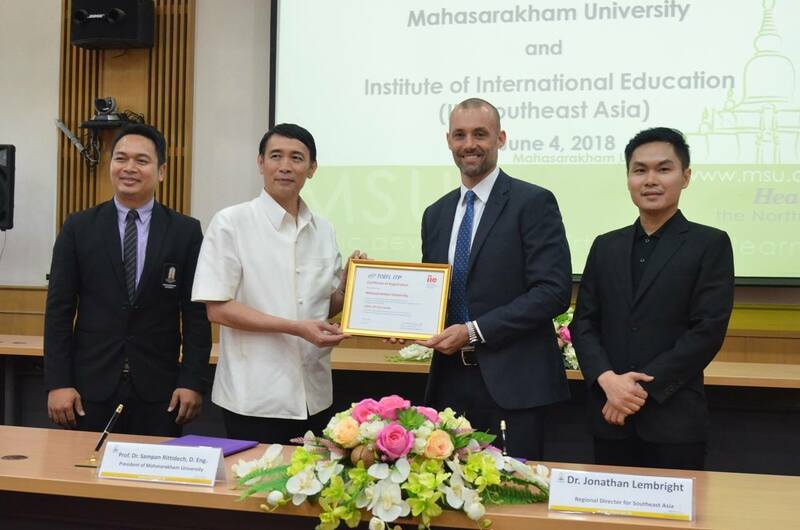 On June 4, 2018, Prof. Sampan Rittidech, D. Eng, the President of Mahasarakham University, signed the Memorandum of Understanding with Dr. Jonathan Lembright, Regional Director for Southeast Asia, Institute of International Education (IIE), and it was co-signed by Asst. 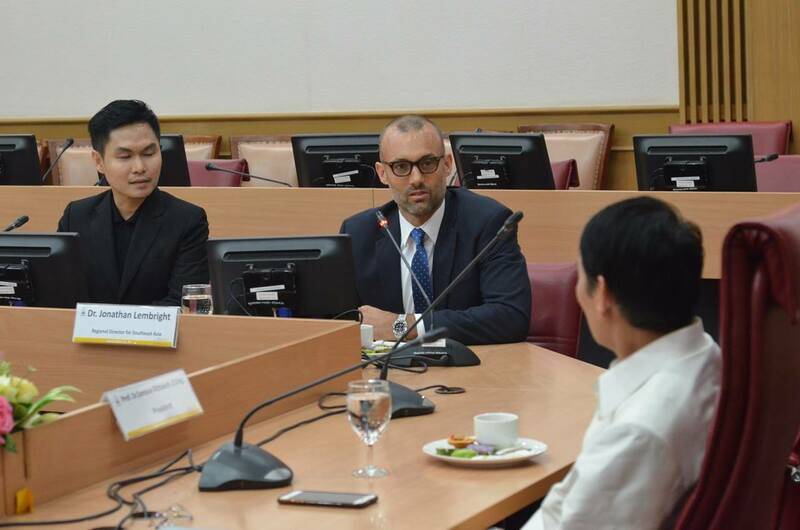 Prof. Dr. Chonlatee Photong, Assistant to the President for Public Relations and International Affairs; and Mr. Sinchai Lekwanitchakul, IIE/SEA Assessment Account Manager. 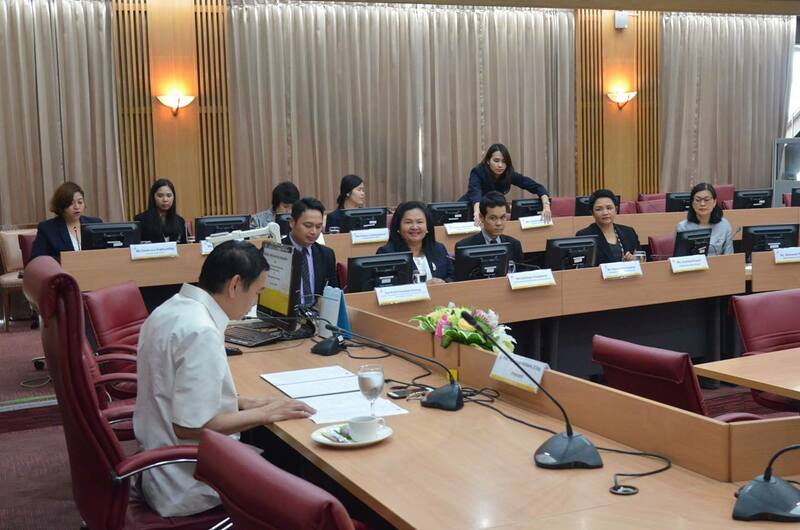 The objective of this MoU signing is to organize TOEFL ITP Center at Mahasarakham University. 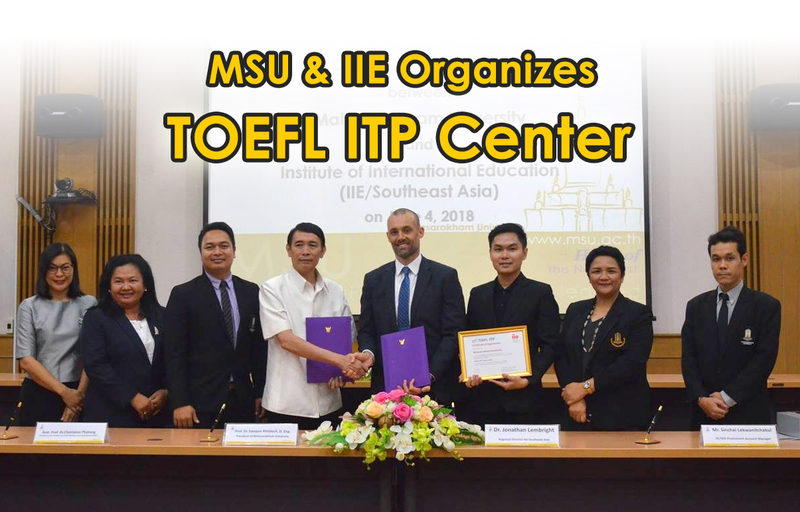 The TOEFL® ITP Assessment Series offers colleges and universities, English language learning programs and other organizations the opportunity to administer a convenient, affordable and reliable assessment of English-language skills. The TOEFL ITP tests can be used for placement, progress, evaluation, exit testing and other situations. By using the TOEFL ITP tests in your classroom, you can keep your students on track and have confidence in their real-world abilities. When you use the TOEFL ITP tests, you'll assess your students' proficiency level in three different skills—reading comprehension, listening comprehension, and structure and written expression. You'll be able to pinpoint the areas in which they need help, so you can tailor your teaching to meet those needs. Knowing your students' English skill levels better today gives them the best chance for success tomorrow. Learn more about the seven ways you can use the TOEFL ITP assessments in the classroom. When you use the TOEFL ITP assessments, you put the power of the TOEFL® test to work in your classroom. The TOEFL ITP assessments share the same rich heritage as the TOEFL test—the world's most widely accepted and respected English-language assessment. 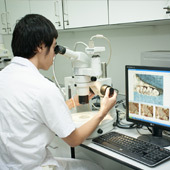 The two tests are used for separate purposes and administered differently. 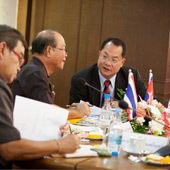 The TOEFL test is a high-stakes exam administered by ETS. Institutions use TOEFL test scores to make high-stakes decisions, such as student admissions. 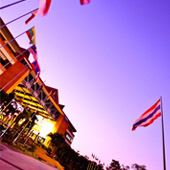 TOEFL ITP tests are administered by institutions or our ETS preferred network office.